You-know-what has hit the proverbial fan in Escape Doodland, courtesy of Omnomus deciding to stop by. See, this fella is of a particularly nasty variety… the sort that likes to eat the inhabitants of Doodland. Yup. Bit of a problem right there, and no, you don’t get to fight him. At least, I don’t think so. Far as I can tell, your only means of defense is to run, run, and run some more. Run as fast as you can, aided by said potential Omnomus snacks as you go along. Groovy. Disturbing, but… groovy. 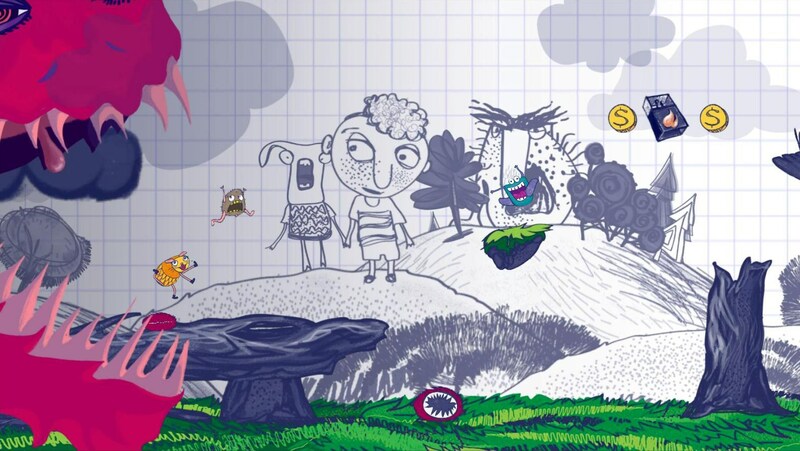 According to its creator, “Doodland is a grotesque world created on a piece of paper”, although I suspect you’ve already noticed that from the above screenshot. What it does not show however, is that Doodlers (the creatures of Doodland) have, well, “gastric problems”. I know, disgusting, right? Actually, in this case… kinda… beneficial. No, seriously: Omnomus can be stunned by the power of farts! Death and destruction came into Doodland. This happy and joyful land is going to change. Forever.There are only two options: run as fast as you can or die. Escape Doodland will be available from Steam, Q1 2018, with a TBD price tag.